Channel 4 host and acclaimed stand-up comic Adam Hills will compere April’s MCV Awards. The comedian will unveil the winners and hand out prizes at the April 10th event in Central London. 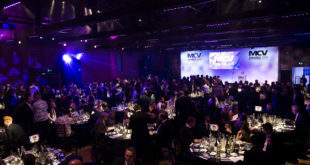 The MCV Awards recognise outstanding achievement in the UK games business by retailers, publishers, developers, agencies and distributors. Lobbying closes tomorrow (Friday, January 24th), so there are just a few moments left to get your suggestions in to mcvlobbying@intentmedia.co.uk. But be quick – the finalists will be unveiled next week. To book your place at the event, contact Kathryn.Humphrey@intentmedia.co.uk. Meanwhile, leading publisher EA, retailer SimplyGames and peripherals brand Razer are the first companies to throw their weight behind the MCV Awards. Other headline sponsors will be announced in the coming weeks. To find out more about being seen amongst them at April’s prestigious event, contact Jennie.Lane@intentmedia.co.uk.